Solderability testing has become more common in the industry particularly to assess components and printed board surface finishes during the transition to lead-free manufacture. The wetting balance is the standard method of test and provides the repeatability that other methods do not. 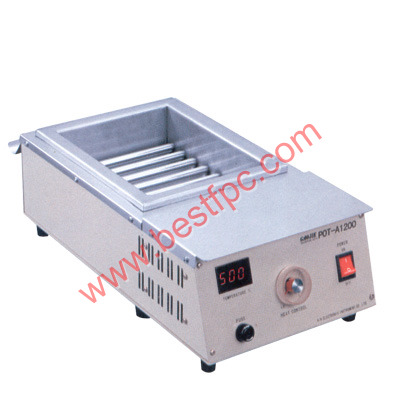 Test Principle: Put the samples into tin bath, detect the solderability according to the hole wetting degree. 1. Setting the tin slot temperature at 245℃, turn on the power. 2.Waiting for the Test Procedure up to 245℃+/-5℃, paint the samples with rosin. 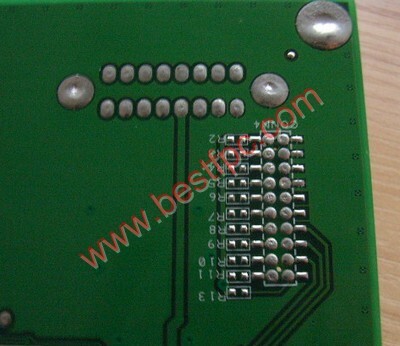 Use clamps nip it , just do as wave-soldering,let samples contact with the tin slot surface. Depth is about 2mm, time is nearly 4 seconds. 4.Comments: The plated holes permit only 10% with half infiltrating, nonwettable and air blow is not allowed. Figure 2. PCB samples after testing with the wetting balance. 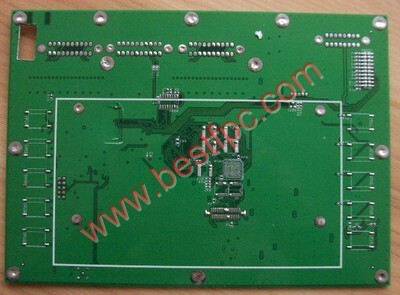 As assembly Electronic components to printed circuit board always need high quality Interchange connection technology, doing the solderability test has great help to the high quality and zero defects welding technology. 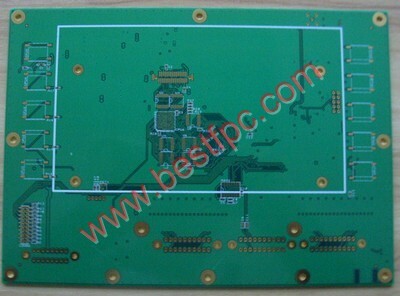 Our Best Technology did Solderability Test for every batch PCB, but due to some objective reasons, we didn’t give customers the solderability test samples. If customers need it, can also contact us.